This section of our website describes the main elements of the brewing process, from producing the mash down to the stages of main fermentation, maturation and, in some cases, re-fermentation. The beer history section takes you back to the Middle-Eastern origins of this noble barley brew before zooming in on the rich European beer history. Here, Belgium is situated within the broad history of beer. Beer in Belgium is a very specific story, telling you how closely brewing and beer are interwoven with the Belgian lifestyle, the role played by cafés, how brewers were instrumental in promoting the worlds of football and music and the importance of the brewers’ political influence within the local community. The dictionary of beer is a list in the making. Here you will find the official brewers’ jargon with every term explained in such a way that it can be understood by those who have not (yet) been initiated. We also list details of thirteen traditional Belgian beer styles. These can be found in the ranges offered by most Belgian breweries. Just think of an abbey beer (abdijbier), white beer (witbier), lambic/lambiek, tripel, fruit beer or saison. Under the heading of Belgian beer culture you will find an excellent summary. There are more than 1,500 Belgian beers that either belong to one of our traditional beer styles or fall outside the norm – in an innovative way. In Belgium we are also proud of our beer history that goes back hundreds of years. We have managed to preserve characteristic beer styles such as the lambic or Vlaams roodbruin – the Flemish red-brown. This beer culture is not limited to the past, however; it continues and expands in day to day life in Belgium, it is ingrained in it. Our country has great expertise when it comes to the various aspects of brewing. It is far from a coincidence that Belgium has many top experts at its disposal in areas such as barrel ageing, hops, fermentation etc. And this rich brewing tradition is passed from brewer to brewer. There are around 160 Belgian breweries, macro-brewers to microbreweries, as well as countless hobby brewers bringing this beer culture to life on a daily basis. 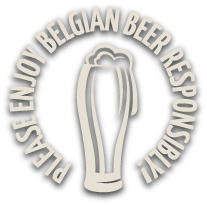 They have contributed to make ‘Belgian beer’ or ‘Brewed in Belgium’ into a quality label that is highly regarded around the world. All of this provides a resounding argument to apply for the Belgian beer culture to be recognised as Immaterial UNESCO World Heritage, a proposal made by the national brewing federation of Belgische Brouwers, the Belgian Brewers. On these pages we will also describe in more details the role played by this Federation. Belgian beer culture translates into a unique mix of tradition and innovation by brewers who carry out their work under the watchful eyes of their patron saint Saint-Arnold, in an endless round of local and national beer festivals, in beer museums often dedicated to specific aspects of the beer landscape (beer glasses, beer advertising, beer transport…), highlighting beer icons who fulfill, or have fulfilled, the role of Belgian beer ambassador with plenty of verve. This introduction would not be complete without mentioning the beer shops where you will find all these lovely brews. And, before you say anything, women in Belgium are also keen on a good glass. They also like to taste a good beer or two and are capable of matching the boys pint for pint. And no, there is no need for the beer to be sweet. Once the ladies are used to the taste, they are very happy to try a drier or hoppier beer, a slightly sour oude geuze or a sweet-and-sour Vlaams roodbruin. There is something for everyone in our about beer section, which only serves to illustrate the rich diversity of our beer culture.